Travel to Australia and start studying! We are a one-stop shop for all your study in Australia requirements. QUT is a University for the Real World and offers high quality learning, teaching and research spaces to better meet the needs of students, academics and researchers. Well known and respected prestigious university. Take a look at QUT's website for international students to find a course for you. Griffith University is committed to helping international students make the most of their time in Australia by providing quality education, guidance and support. With more than 200 degrees and a reputation for research and teaching excellence, Griffith continues to be a leading university of choice. Take a look at Griffith University's website to find out more. JCUB is conveniently located in the city centre and offers are range of affordable Bachelor's a Masters degree programs in Business, IT, Hospitality, Tourism and Accounting. JCUB also offers bursaries and sponsorships making it one of the best options for a recognised, quality educational experience. 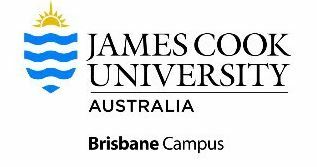 Take a look at James Cook University's website to find a course for you. CQU is ranked amount the world's top 100 universities under 50 years old. The main campus is in Rockhampton in Central Queensland, with new, modern campuses in Brisbane, Sydney, Melbourne and north Queensland. CQU delivers a range of Certificate and DIploma level courses, as well as Bachelors, Masters and PhDs. Take a look at CQU's website for international students to find a course for you. USC sees opportunity. Everywhere. If you see it in yourself, USC want you to come and see them. They provide our students with inclusive, personalised support alongside programs that provide ample opportunities to engage with your discipline, profession and community. With a modern campus in a peaceful, natural setting you have plenty of time to focus on your studies. Take a look at USC's website for international students to find a course for you. TAFE Qld offers Certificate, Diploma and Advanced Diploma courses in just about everything you can imagine, in campuses around the state of Queensland. 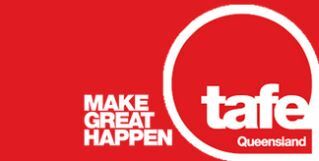 Take a look at TAFE Qld's website for international students to find a course for you. Did you know that Australia hosts the 3rd highest number of international students in the world, despite having only 23 million people? Did you know that Australia's university system is ranked 8th in the world, and is ahead of such countries as the United Kingdom, Germany and the Netherlands? Did you know that there are over 22,000 courses on offer at over 1,100 institutions? Australia is a popular study destination for many reasons, including safety, affordability, quality, recognised qualifications world-wide, good job prospects, access to permanent residency and citizenship, and an enviable lifestyle. The Australian Qualifications Framework (AQF) describes the following: School, Certificates I, II, III & IV, Diploma, Advanced Diploma, Associate Degree, Bachelors Degree, Masters Degree and PhD. Qualifications from overseas may not be at the same level as those in Australia; we can help you determine where your existing qualifications fit within the AQF, and what further studies you can take to meet the Australian standard. As an international student you can enroll in any of the above, and can package courses together (such as a Certificate IV, Diploma and Bachelor's degree). Packaging courses together can provide a clear pathway to university when you may not meet the requirements for direct entry. You can also study English language courses to assist you reach the IELTS or Pearson test score you need (other tests are also accepted). You may be required to have an English Language Test score for entry into TAFE or University in Australia, or for a working visa or registration with particular professional bodies for the purpose of Australian migration (such as CPA Australia). We work with quality English language studies colleges around Australia that deliver courses specifically designed to pass the IELTS English exam. For example, if you require IELTS 7.0 but have only achieved 6.0, we can enroll you in your chosen program that will train you for an IELTS Test result of 7.0. The courses will assist you to not only improve your English language skills, but also to better understand the test format, how to respond to questions, and what the examiners are looking for. Don't be discouraged, many applicants take the IELTS test over and over again, until they achieve the required result. Qualifications in Australia are delivered through schools, TAFEs, Colleges and Universities. Only those institutions registered for international students can enroll people on Student visas. This helps to ensure that institutions offer quality teaching, learning, and support services to those from other countries. Schools in Australia are either government, religious or independent. Most states commence with a Prep year, followed by Grades 1-6. High School is from Grades 7-12. Many schools specialise in a particular area of academics or sport, such as the Queensland Academies. Vocational Education & Training (VET) is delivered through TAFEs and Colleges that provide courses from Certificate I-IV, Diplomas and Advanced Diplomas. Each Australian state has its own TAFE network, and also a large number of Colleges (mostly private) that offer a large range of courses including trade training. TAFE's and Colleges provide a vital pathway into university studies for those who may not yet meet the requirements for direct entry. Universities in Australia offer undergraduate and postgraduate qualifications to international students. Students who complete a 2-year minimum qualification at an Australian university also have access to the Graduate visa, which provides a 1.5 - 4 year working visa. This helps graduates to gain important skills and work experience that may assist in an application for permanent residence. There is a range of useful information out there to assist you in searching for courses and provide you with location-specific information.